Equipped with my camera, my new tripod and an enthusiastic but somewhat bewildered Labrador, I’ve just taken my first foray into astrophotography. 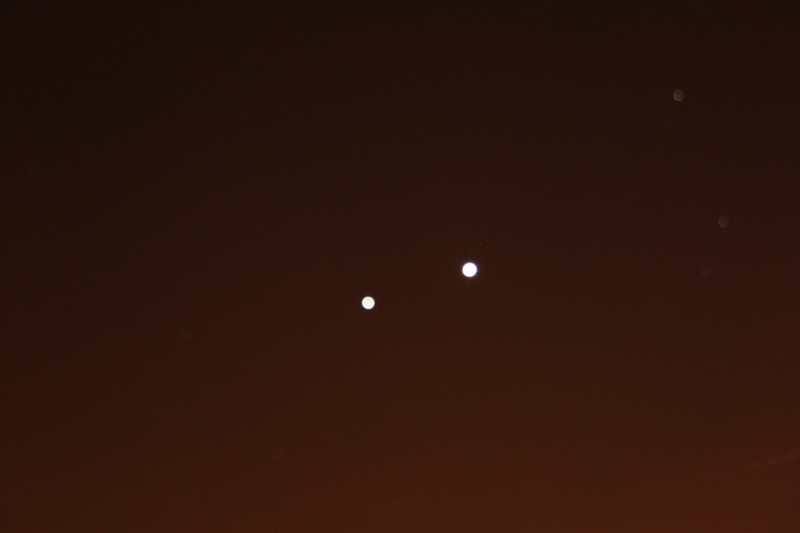 The photo below is of Jupiter (left) and Venus (right). 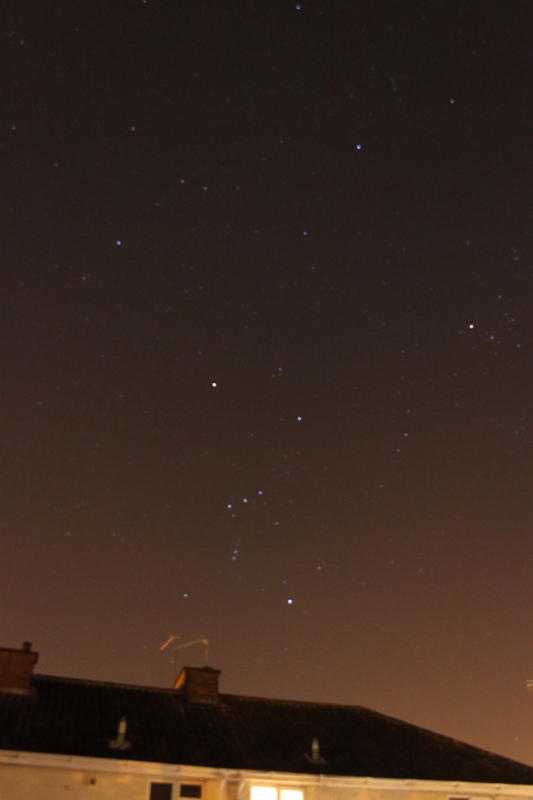 The one below that is of Orion rising above my house. It’s pretty bright around here, especially when it’s only 8 o’clock in the evening, but I really enjoyed taking the photos. Next step is to link my camera up to my telescope! This entry was posted in Astronomy, Photography and tagged Astronomy, Photography by Simon Perks. Bookmark the permalink.